Pluralsight is an online developer of educational training for software developers, IT administrators, and creative professionals. Their corporate culture was centered around a progressive, modern workspace. EWP created an environment which promotes open collaboration, creative thinking, and their unique workplace experience. Hardwoods, glass, and directed lighting create a dramatic series of public spaces, contrasted by my typical office space for heads down work. 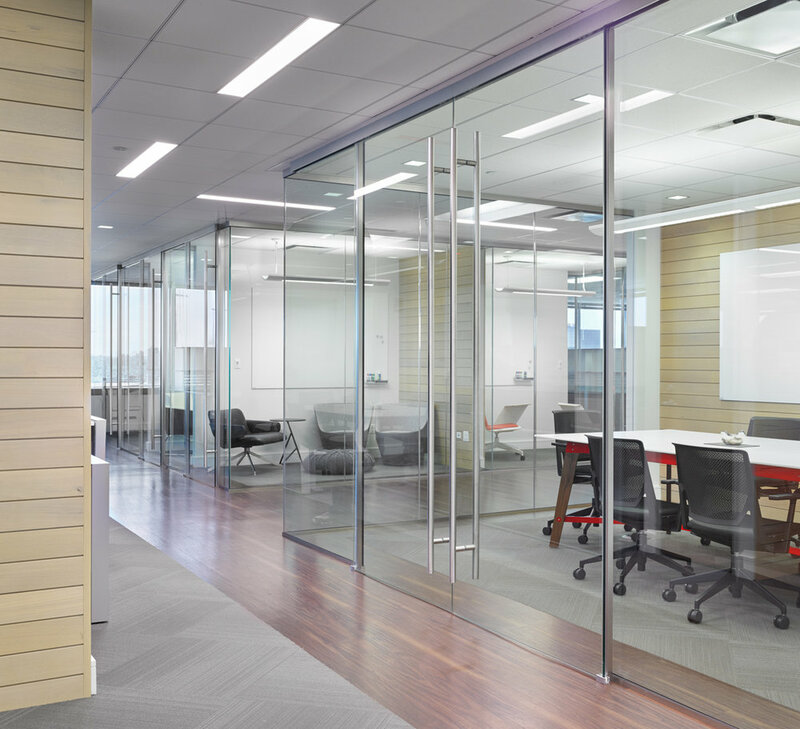 Open ceilings, varied flooring, and exposed mechanicals create movement throughout, challenging the notion of a typical static office environment. An ultra-lounge and an open training room, in addition to a multitude of technologically-advanced, sliding glass conference rooms, support the varied business functions and cultural workplace ideals.